Androids open ecosystem allows quick deployment and updating of apps in addition to cost benefits of competing hardware. Android's open nature lets developers and hardware manufacturers make changes to the operating system's core software. 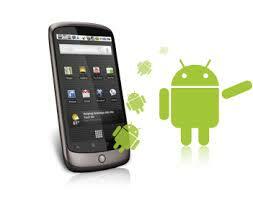 This makes it fairly easy for companies to tailor Android to work in very specific environments and industries. A wider variety of screen sizes makes it easy for a business to get the right platform for their business solutions. © Copyright 2014 by Apptoonz. All Rights Reserved.